eSource was founded in 2005 by Jill Black. Jill leveraged her 30+ years in the event and travel industry to build eSource into a sustainable business that could meet the varied needs of its clients from coast to coast. 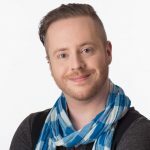 Upon deciding it was time for a new adventure, Jill sold eSource to a local event manager and entrepreneur, Rémi Lefebvre. As a small company that is big on community, eSource Event offers a quality professional service that is accessible to organizations and projects of all shapes and sizes. eSource is dedicated to supporting numerous events and projects. We are firm believers in supporting vibrant communities here in Nova Scotia and across Canada! eSource offers all of our services in both of Canada’s official languages. (English/French) We are committed to reducing event waste – our office is a green space that discourages printing and encourages the use of scrap paper. We use power-efficient technology solutions and have a number of green initiatives such as our name-badge recycling program that is currently available in Atlantic Canada. Rémi’s professional background varies from music touring and education (he is a classical trained pianist!) to event management, graphic design, and marketing. Rémi manages eSource’s day-to-day and oversees all client projects. He is also the primary registrar for eSource’s online systems. When he’s not working up a storm, Rémi likes to curl up with a good book, play piano, or travel. He also spends time volunteering with a number of local not-for-profits and charities ranging from the arts to mental health. 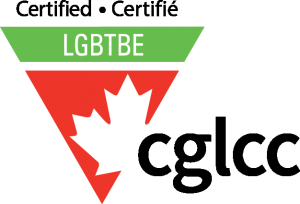 eSource Event is a proud member of the Halifax Chamber of Commerce and is a certified LGBT Business Enterprise through the Diversity Supplier Program with the Canadian Gay & Lesbian Chamber of Commerce.